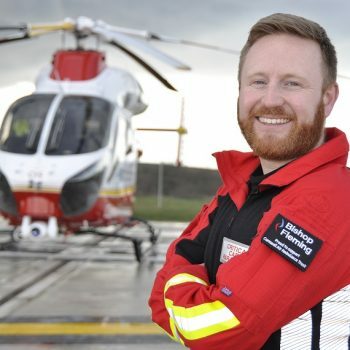 Working with Cornwall Air Ambulance in an exciting sponsorship partnership benefits both your business and helps to ensure the helicopter continues to fly, saving the lives of the people in Cornwall. As former winners at the Cornwall Business Awards, we understand that you will want to choose a charity partner that reflects your own passion for doing business in Cornwall. With a unique approach to partnerships, we carefully design a bespoke support plan around your business to help you meet your objectives. As a Cornwall-based business, we know only too well the importance of keeping Cornwall Air Ambulance in the sky. That's why we chose to sponsor a Cornwall Air Ambulance crew member.